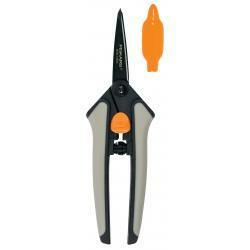 A unique design makes snipping stems and removing thorns easier and more comfortable. 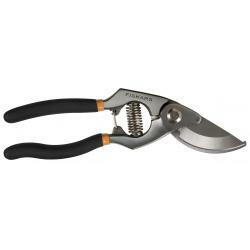 Our Softgrip® Floral Pruner is specifically designed to make deadheading flowers, cutting stems and removing thorns quick, easy and safe. The fully hardened, precision-ground steel blade stays sharp, and a low-friction coating makes every cut even easier and helps the blade resist rust. 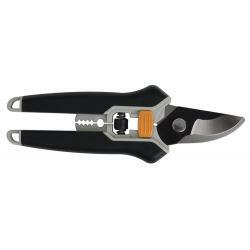 The stem stripper quickly and safely removes thorns, and a handle with Softgrip® touchpoints provides a secure, comfortable grip. Maximum cutting capacity: 1/2" dia.